Back in March, actor Hugh Jackman teased that he is playing The Wolverine one last time with the highly-anticipated sequel Wolverine 3. During an appearance earlier today on The Dr. Oz Show, the actor made it crystal-clear that this upcoming sequel will mark his last time as Logan. Here's what he had to say below. "It is my last time. It just felt like it was the right time to do it. And let's be honest, 17 years. I never thought in a million years it would last, so I'm so grateful to the fans for the opportunity of playing it. I kind of have in my head what we're going to do in this last one. It just feels like this is the perfect way to go out." We reported last month that both X-Men: Apocalypse and Wolverine 3 will be the final movies set within director/producer Bryan Singer's X-Men movie universe, although it is unclear what direction the franchise will take from there. 20th Century Fox is also releasing two spinoffs, Deadpool (February 12, 2016) and Gambit (October 7, 2016). It has been rumored that Hugh Jackman will have a cameo in X-Men: Apocalypse as well, but that has yet to be confirmed. 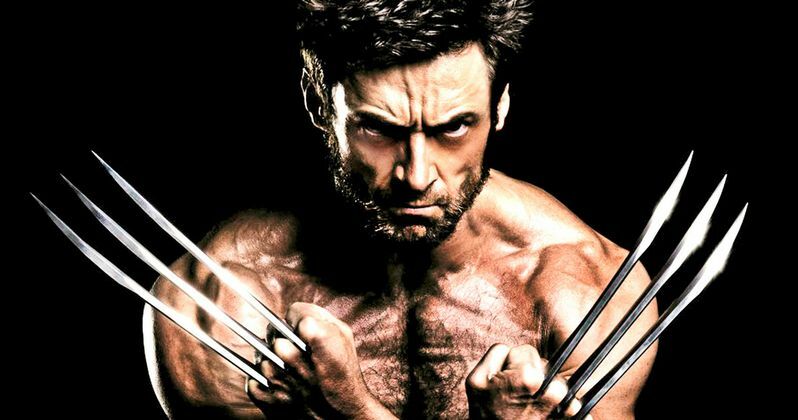 Hugh Jackman has played Wolverine in X-Men (2000), X2: X-Men United (2003), X-Men: The Last Stand (2006), X-Men Origins: Wolverine, X-Men: First Class (2011), The Wolverine (2013) and X-Men: Days of Future Past. Are you sad to see the actor moving on after such a stellar run as Wolverine? Take a look at the video below, where he announces the news, and chime in with your thoughts.